Published: Nov. 11, 2014 at 06:38 p.m. 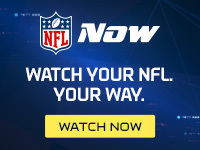 Updated: Nov. 11, 2014 at 08:37 p.m.
Jimmy Graham says he was incorrectly flagged for pass interference in Sunday's 27-24 loss to the 49ers -- arguing that his contact with San Francisco cornerback Perrish Cox was "definitely not a push-off" -- but Dean Blandino disagrees. In a segment that aired Tuesday night on NFL Total Access, the NFL's vice president of officiating said that officials were right to penalize Graham for shoving Cox to the ground -- a call that wiped out the pass-catcher's potential game-winning touchdown. "Yes, Jimmy Graham should have been flagged," Blandino told NFL Total Access. "We'll take a look at the play. And you don't see pass interference on Hail Marys very often, but he puts both hands in the back of the defender, extends his arms and creates that separation to catch the pass. "And what's been interesting about the conversation around this play is not that whether it should have been a foul, but should it have been called because it occurred on a Hail Mary?" said Blandino. "Typically, you don't see pass interference, but that's when the players are jockeying for position where we do allow some contact, but here, a two-handed shove in the back to create separation, that foul has to be called." Graham argued Sunday that Cox played up the contact, but the tight end also acknowledged that he didn't expect a penalty in such a big spot. Per Blandino, that's exactly what the Pro Bowler and his fellow Saints -- now 4-5 -- should have seen coming.